Shaxton retired to Hadleigh in Suffolk. Over the next few years he and his wife had at least three children. In February 1546 conservatives in the Church of England, led by Stephen Gardiner, bishop of Winchester, began plotting to destroy the radical Protestants. (15) Shaxton was arrested and accused of giving sermons attacking the Six Articles. He was found guilty and condemned to be burnt. After further discussions he recanted. Shaxton died on 9th August, 1556. Shaxton was arrested and condemned to be burnt. Then a panel of theologians was sent to persuade him, with even greater success than in 1531. He accepted the six articles with no further reservations, and wrote an abject letter of apology to the king. As part of his submission he was sent to persuade Anne Askew, who had similarly denied the real presence... and he presided when she was burnt with three others in Smithfield on 16 July. Two weeks later he appeared at Paul's Cross to recant formally, weeping copiously for his errors. It was about this time that he put away his wife. In November his reconciliation to the regime became complete when the king gave him a new licence to preach. From 1546 Shaxton's alienation from reform was total. He never retracted this recantation, he never apologized to his former allies, he was not reconciled with his wife, and he remained conservative in opinion for the rest of his life. Under Edward VI he seemed like a dangerous backslider to the new protestant regime, and he was the focus of many vituperative printed attacks, by John Bale (who said he fell from Christ) among others. The most damaging one, edited by Robert Crowley, carried an anonymous letter of criticism by Taylor, and even the simple rhyming admonition against sexual incontinence that Shaxton had written to his wife when he had separated from her. (5) John Foxe, Book of Martyrs (1563) page 83 of 2014 edition. 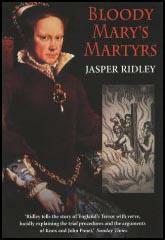 (22) John Foxe, Book of Martyrs (1563) page 232 of 2014 edition.